Travis Ishikawa has elected to become a free agent. Travis Ishikawa, the Pittsburgh Pirates’ opening-day first baseman, refused an outright assignment to Triple-A Indianapolis and elected to become a free agent. 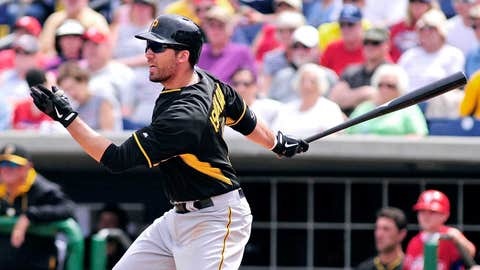 Ishikawa was designated for assignment Friday, when the Pirates acquired first baseman Ike Davis from the New York Mets, and Ishikawa cleared waivers. The 30-year-old hit .206 with one home run in 15 games. His decision was announced Wednesday.